How is your vehicle performing? Wouldn’t it be great to know just how well your car is performing? If you’re interested in knowing how close you are to your car’s capabilities, come by Felix Tire and Auto for diagnostic and performance testing! Engine diagnostics are a great way to make sure that everything under the hood is working like it should. The engine is, after all, what keeps your car running, and without each of its many components, it will not work correctly – or maybe not at all. Diagnostics will let us know where a problem is coming from. Issues with the chassis, body, or the powertrain can all be diagnosed with our equipment, as can more common engine problems. The check engine light is an indicator that something is wrong, but it’s impossible to know exactly what it’s trying to warn you about. Until diagnostic equipment existed, your mechanic would have to visibly inspect every part of the vehicle based on the symptoms you reported to them. 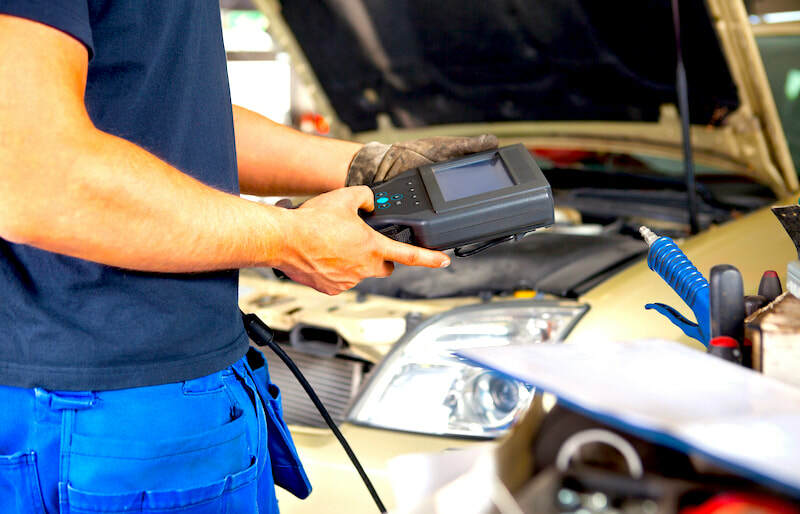 Now, however, we can simply connect the car to a diagnostic testing equipment and know within minutes where the problem is and, in most cases, how we’re going to repair it. Performance is an important reason to choose one vehicle over another. Whether it’s power or efficiency, you probably had a set of expectations in mind when you last went car shopping. It may not be a huge deal, but it’s still really handy to know if your vehicle is performing at its optimal capacity. You could be saving money and preserving your car for many more years to come if you monitor the engine’s performance with diagnostic testing. The best way to see how your car is performing is to let a company with high tech diagnostic tools run a check of the entire system. Felix Auto and Tire can give you a complete report of your vehicle’s performance so that you can find out if your car is living up to the manufacturer’s guarantees about horsepower, fuel consumption, and overall dependability. Call today to set up an appointment for engine diagnostic and performance testing at Felix Auto and Tire!